The trend of establishing and maintaining a personal brand has been a hot topic for some time with the public at large, traceable as far back as 1937 and Napoleon Hill’s self-help classic Think and Grow Rich, if Wikipedia is to be believed. Unsurprisingly, personal branding has also caught on with librarians, notoriously preoccupied as we are with our professional image, both as we appear to fellow librarians and as we appear to others. American Libraries columnist Will Manley has traced “image” articles in the library press back to 1949 (AL, June/July 2007, p. 152), and WorldCat retrieved more than a dozen doctoral dissertations that have been published on the topic of the library profession’s image in the last 50 years, including two as far back as 1961 (The Image of the High School Librarian as Reflected in Textbooks on Secondary School Administration by Robert L. Edwards and The Image of the Librarian as Seen in Eight Library Career Novels by Virginia McNeil Speiden). 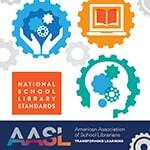 In the late 1980s, the Special Libraries Association, under the leadership of then-president Joe Ann Clifton, even established a Presidential Inter-Association Task Force for the Enhancement of the Image of the Librarian/Information Professional (AL, June 1989, p. 487) (which could have profited from a companion Task Force on Succinct Titles for Functional Work Groups). Personal branding is sometimes vastly oversimplified to mean little more than not uploading anything to Facebook you wouldn’t want potential future employers to see. But branding proponent Andromeda Yelton, now employed as a technologist at the ebook initiative Unglue.It, notes that personal branding is more proactive and intentional than avoiding lampshade-on-the-head photos. In 2010, Yelton was a freshly minted librarian entering a gloomy job market. She knew competition would be stiff and decided she “needed to do something to make myself stand out” among oceans of applicants, as she told me via Skype. Her path to employment began with her decision to hone how she was seen by others to maximize her employability and emphasize the unique skills she brings to the job market. Yelton began her branding experience by asking herself, “What do I want people to believe I can do? How can I get evidence out there? How can I learn how to do things I should know how to do?” This personal inventory allowed her to road test her capabilities, identify and address any gaps, and fine-tune how she presented herself to the job market. A software programmer, Yelton focused on what she calls evidence-based branding (which in her case meant “writing code that runs on the web somewhere”), blogging, and other evidence of her technical skills. She added, “I don’t want people to take my word for it when I say I can do things, and my brand is centered on the evidence of that.” The position she ultimately landed is a good fit in part, Yelton believes, because of the personal brand she established. Bohyun Kim, digital access librarian at Florida International University Medical Library in Miami, agrees with Yelton. From Kim’s point of view, “personal branding is about . . . acknowledging the fact that information about us online will inevitably represent us to others whether we like it or not” and involves “consciously taking charge of that information ourselves.” Kim adds that the many opportunities for social networking only exacerbate the confusion for new librarians. To help librarians sort through the questions about branding, Kim organized and moderated a heavily attended, well-rated panel on personal branding at ALA Midwinter 2011. She was motivated by conversations in the New Members Round Table Discussion Group of ALA’s Association of College and Research Libraries about the challenges new librarians have getting a toehold in the library world. Kim noted that these challenges went beyond job hunting to concerns such as “how to interact with the profession in general”—including how to participate professionally, how to start a blog, and how to give back to others. In this sense, personal branding can function as a form of self-mentoring, a way to groom yourself into a profession you haven’t broken into yet. Not everyone who appears to have a brand agrees he or she is brand-driven. Ingrid Abrams, a librarian in New York City, has startling pink hair and garbs herself in bright, unusual fabrics and prints, appearing, as she puts it, “like an exploded crayon.” Her unique style gets her blogged and Tumblr’ed around the web. But Abrams says her primary motivation is her clientele: She is a children’s librarian, and her colorful, fun clothing helps her “break the ice with 2-year-olds.” Abrams also ruminated that she may be reacting to having been a “serious child” and a teenager who went through a Goth stage, during which she wore dramatically dark clothing. Her style has become her de facto brand. After she was reassigned to a library on the tonier Upper East Side, her aunt refitted her in Talbots suits. But her coworkers laughed at her, and the clothes slowly migrated to the back of her closet. Abrams also noted that as her career evolves, her wardrobe may evolve as well, and she may find herself in a position someday where she will feel out of place in her dress with the pink and red hearts, her dinosaur earrings, and her pink hair (though, personally, I hope not for a while). Branding has also received its share of criticism. 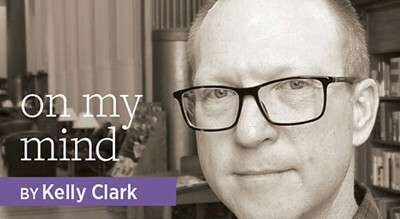 Yelton—echoing the general advice of most branding consultants—says that “your personal brand is an evolving relationship.” But Kate Sheehan, blogger at Loose Cannon Librarian, questions the ability or desirability of brands to evolve. While noting the value of managing your image in a Googleable world—“No one ever had to manage this stuff before”—Sheehan says branding “implies a static nature that is not actually helpful to people.” She adds that she “wouldn’t want to be tied down by the professional thoughts” she had five years ago. 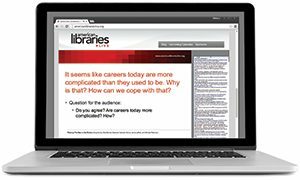 New librarians seeking a clear personal brand should also take note that many librarians graduate from library school certain that they are headed in a particular professional direction, only to be surprised early on by new interests and opportunities—sometimes more than once in a career. I started out as a children’s librarian, a role that lasted exactly six months before I found myself bumping along a path loosely defined by technology and administration. (Within a year, the corduroy and denim jumpers I had sewn the last semester of library school went into the Goodwill box.) If I had overinvested in my “children’s librarian” brand—a great career path in theory, a poor match for me in practice—it would have been much harder to change course not once but several times over the past two decades. Sheehan also argues that people may overestimate their ability to control how they are perceived by others. She observed that in the commercial world, “actual brands are learning you can’t control how people perceive their products.” Sheehan concluded by asking, “Why are we trying to imitate businesses?” If you’re branding because someone tells you to brand, step back and assess what you’re doing, and why. Authenticity was another concern raised by everyone I spoke with. An oft-cited aphorism is that the image that marketers attach to a brand “is a promise to a customer.” If you create an image, you need to be able to deliver on it. As an employer, I am all too aware that the hiring process is one gargantuan chimera. With the right references and good interviewing skills, it is possible to glib-talk your way into a job you’re not qualified for (not simply a career stretch, which is good for you, but a huge mismatch, which is not); in the end such a move will make you and everyone else miserable. Don’t be timid about your capabilities—a failing common to many women in librarianship—but don’t build a huge shiny brand based on skill sets you will never have or someone you will never be. That’s not a personal brand: It’s a Potemkin village. As Abrams said, “If you are hired as someone else, do you really want to spend five years pretending to be someone else? And how unhappy is that going to make you? Be yourself, and they will love you as you are.” And if they don’t, find someplace where they will. Additionally, many wonderful job candidates don’t have distinctive, highly public personal brands for any number of reasons. A strong personal brand can be a sign of a poised, focused candidate who, like Yelton, is framing her public persona in a way designed to help her match up with the right job. But there are also many powerful, effective librarians who do their “moving and shaking” below the radar. We are blessed with an abundance of tremendous librarians in our profession, and quite a few of them lead from behind, through quiet example, low-key strategy, and sotto voce mentoring. In the end, like many things in life, personal branding is nuanced and ambiguous. 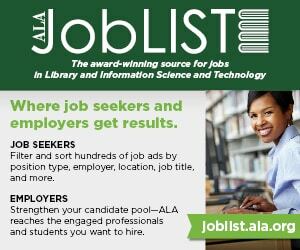 It can help job hunters stand out in a sea of applicants and provide new librarians a leg up on professional mores and values. Personal branding can also mask incompetence or mislead a librarian into thinking she has full control over how the world sees her. It’s possible that on a more symbolic plane, personal branding is a collective response to the overwhelming fiscal and technological upheavals of the last decade—a method for asserting control even while we feel the quicksand sucking at our feet. Personal branding is half crucial life skills and half Barnum & Bailey hucksterism. It’s valuable but hardly mandatory, and not a good fit for everyone. Regardless, because we are librarians—simultaneously preoccupied, perturbed, and fascinated by our own image—personal branding will endure. KAREN G. SCHNEIDER is a university librarian at Holy Names University in Oakland, California, and blogs at Free Range Librarian. Follow her on Twitter @kgs. What would an employer learn if he or she googled me? What kind of job am I looking for? If I asked my friends to describe me, what would they say? How can I make myself stand out in a crowded field? Telling the story of women’s work is never done.